VATICAN CITY (CNS) — Pope Francis “did not say he intends to introduce a diaconal ordination for women,” and he certainly did not speak about the ordination of women priests, the Vatican spokesman said. Pope Francis met members of the International Union of Superiors General, the leadership group for superiors of women’s orders, May 12 and accepted a proposal that he establish a commission to study the role of New Testament deaconesses and the possibility of women serving as deacons today. 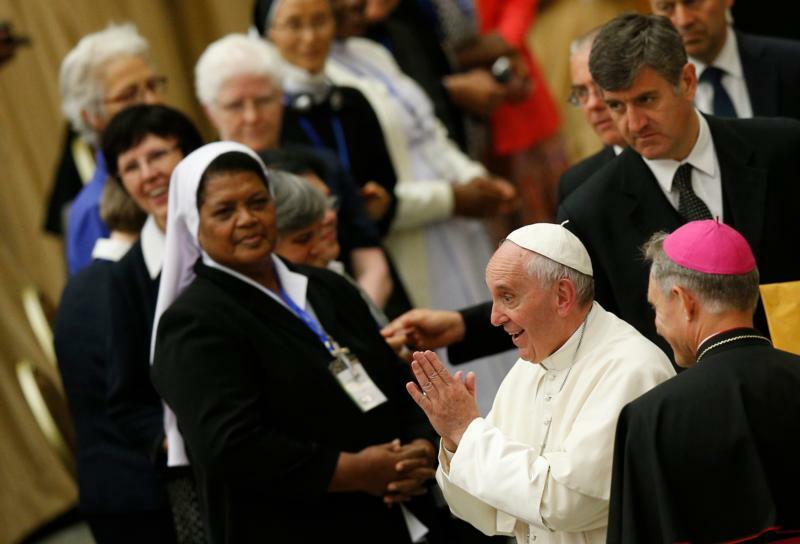 After some news outlets reported the pope was considering ordaining women deacons and comments were made about women deacons leading to women priests, Jesuit Father Federico Lombardi issued a clarification May 13. Women and the diaconate “is a question that has been discussed much, including in the past, and that comes from the fact that in the early church there were women who were called deaconesses, who carried out certain services within the community,” Father Lombardi said. In a video statement May 13, Sister Carmen Sammut, superior of the Sisters of Our Lady of Africa and president of the UISG, said the sisters “were quite excited by the fact that Pope Francis did not leave any question out; he really wanted to answer each of our questions. “He was very strong about the fact that women should be in the decision-making processes and the decision-making positions of the church,” she said.